Can a student’s cultural background support learning in science? Or is concentrating on the specialized vocabulary of science the best way to help English language learners learn science? 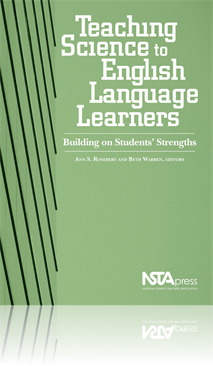 This book addresses these and other pressing questions you face when working with students whose linguistic and cultural backgrounds, as well as their languages, are different from your own. This book provides an excellent window into the world of students learning both English vocabulary as well as science vocabulary. I liked the practical examples from real classrooms.